Career Education, Counselling, Education, engineering courses, Madhya Pradesh, Madhya Pradesh engineering courses, September 23. Admissions to bachelor of engineering courses in Madhya Pradesh's technical colleges reached a record 66,425 till Thursday. Official sources that this was the first time in the history of the state that so many admissions have been recorded. Despite this, a total of 30,000 seats were still lying vacant in engineering colleges of the state. 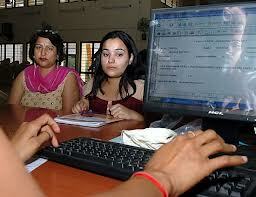 The present round of counselling for admission to engineering colleges will continue till September 23. Tags # Career Education # Counselling # Education # engineering courses # Madhya Pradesh # Madhya Pradesh engineering courses # September 23. Labels: Career Education, Counselling, Education, engineering courses, Madhya Pradesh, Madhya Pradesh engineering courses, September 23.